While there may be many options when it comes to choosing an Albuquerque florist there are not as many that are dedicated to providing a high quality bridal service. Lou McLeod is an expert in everything related to flowers and now provides her service to as many couples throughout the state as possible. Lou does not only provide floral design but is an expert in event planning, which means she is able to tie everything together flawlessly while always working to keep it all affordable. There is no need to turn to a nationwide chain when you have a quality local florist serving your neighborhood. This is one of the reasons that Silver Springs Floral & Gifts has become such a popular option in Albuquerque as they offer the personal touch that other florists are not able to provide. If you want a wide selection of both the most sought after flowers and more exotic options then this florist really is the right choice for you. Since 1980 Charlotte’s Flowers have been offering couples throughout New Mexico the option to not have to worry about their wedding flowers. This service is the leading specialist in silk flowers that are so well designed that it is very difficult to tell them apart from the real thing. Not only will you not have to worry about the flowers not looking flawless but this team can dye the blooms to match any color scheme. 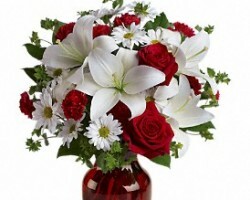 For the perfect flowers that will last for years to come you should certainly call these expert florists. On top of their reliable flower delivery in Albuquerque and their incredible selection, couples choose the services of Signature Sweets & Flowers due to the flawless arrangements that are guaranteed to arrive exactly as they should on your big day. Having these experts provide everything from the bride’s bouquet to the centerpieces for the reception is the only way to ensure you have complete peace of mind when it comes to your wedding décor. You should avoid second-rate flower shops and only call this premium service. The team at Flower Thyme provides a whole different experience than other florists in Albuquerque, NM. 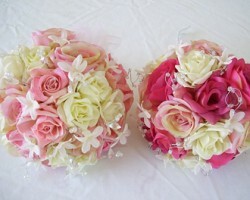 This service offers couples paper flower arrangements that will truly take the breath away of both you and your guests. Reviews have nothing but praise for this options and you will be amazed by the variety you will be able to choose from. For a couple that wants something completely unique at their wedding and an eco-friendly option then Flower Thyme is the right choice.